This is the first of a session series on the ELF and ULF band reception. 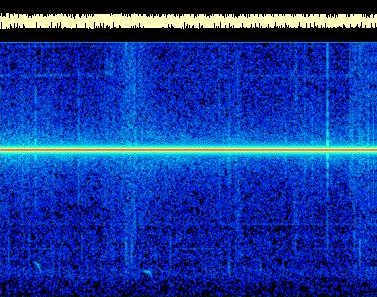 This session is a collection of signal received with Horizontal loop of 2100 square meters, Marconi T antenna (11m high, 45m top) and 70m earth dipole (North/South oriented). And then analyzed with Spectrogram. In some cases the origin can be deduced: frequency constant tones and of definite length are likely of human origin, while variable signals in frequency and power or at wide band are probably connected to natural phenomena. All the reception was made at home, in the country. 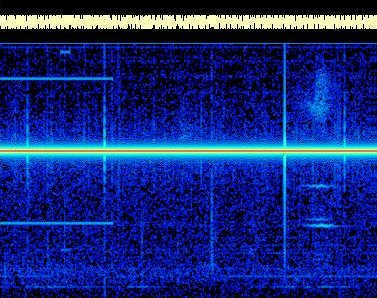 Therefore each spectrogram shows a big 50 Hz tone of main power. 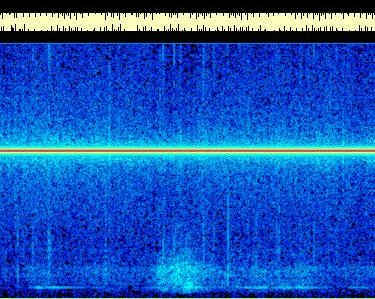 Spectrogram of 270" in a 0-86 Hz band. Received with horizontal loop 2100 sq. m.
PC monitor carrier at 85 Hz, tone at 74 and 26 Hz. below 25 Hz, in the left part of the picture. Weak and variable tone at 4 Hz. 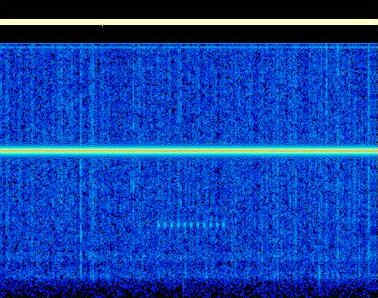 Wide band noise of 30 sec. in a 2-25 Hz band. Received with a Marconi T antenna. of 15 sec. (45 Hz to 42 Hz). In the right part, below 50 Hz tone and between 2st. and 3st. 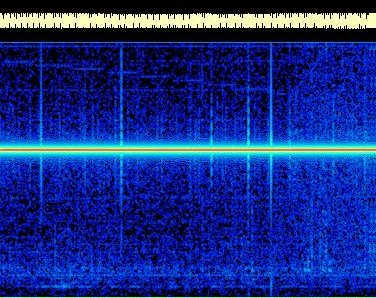 Scumann resonances, signal of 2' 30", with 4 Hz band. Two little hooks of about 10 secs. each. The first starts at 12 Hz and finishes to 8 Hz. The second starts at 9 Hz and finishes to 6.5 Hz. These signals are frequently during the sunrise and the sunset. In the lowest part of the pitch weak tones at 4 Hz and 8 Hz. 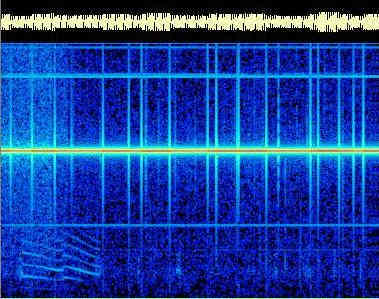 In the left part of the spectrogram two couple of simmetric signals to the 50 Hz frequency main, at 26/74 Hz and 18/83 Hz. 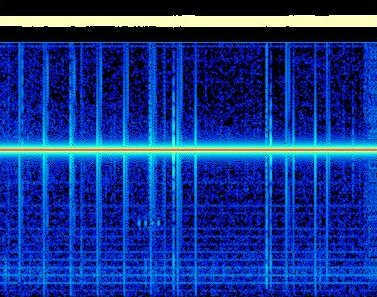 In the right part strange tone of 16 " at 25 Hz, 26.5 Hz and 38 Hz modulated in frequency of 1 Hz, and wide band noise from 60 to 80 Hz in correspondence. 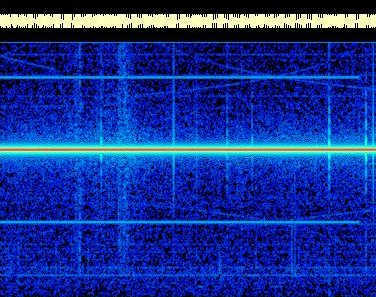 Received with Marconi T antenna. 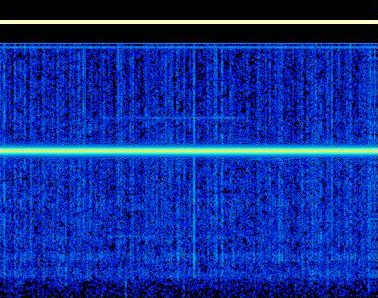 Strange signal at 25 Hz, composed by 11 tones of 1.5" spaced by 2.2" about. Recevible only in vertical polarization and with ground dipole (nothing with the horizontal loop). Received with ground dipole of 70m (N/S oriented). 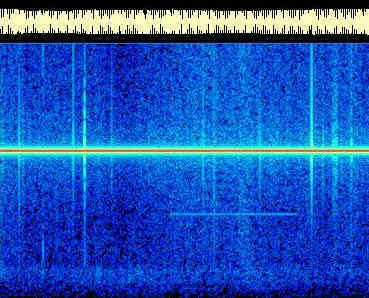 Similar to the first but received with ground dipole: 4 tones at 25 Hz. Also present weak tones at 2.6 Hz, 5.2 Hz, 7.8 Hz, 10.4 Hz etc. Strange and weak signal, similar to circle draft across the 26 and 74 Hz tones. Specular in the upper and lowest part of the pitch. Probabily connected to the main power. The signals start from the left part of the pitch at 80 Hz: 8 tones of 20" at 80, 78, 76, 74, 72, 70, 68 and 66 Hz. Unexplained. 28 Hz tone of 70 seconds, clear and without harmonics. Not present in vertical polarization. Weak 60 Hz tone of 75 seconds. 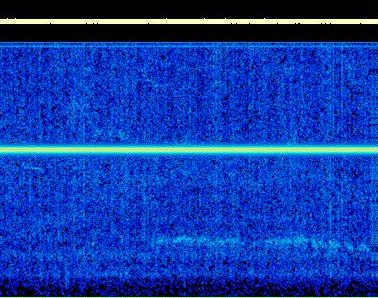 Some statics and Schumann resonances.